When you begin the process of buying a home, the issue of whether the seller or anyone else has died in the probably is probably the last thing on your mind...unless this sort of thing would really bother you or someone mentions to you that it might have occurred. A death in the house is a real deal breaker for some prospective buyers. So how do you find out for sure? It's actually easier than you might think. What should you expect from the transaction if this is indeed the case? That might depend on your negotiating skills. Do You Want to Buy a House If the Seller Died There? 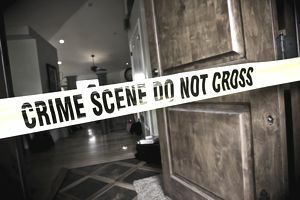 Homes that have been the site of a death are said to have "psychological" damage, but many homebuyers have said that the extent to which it would bother them depends on how the death occurred. Some types of death carry stronger messages and are more horrifying to picture than the demise of a bedridden elderly seller who succumbed to a predictable end. The odds that someone died in your would-be home depend on its age. Buyers of Victorian properties should realize that many people were born at home and died at home quite frequently in the early 1900s. It's likely, if not probable, that a death might have occurred in the house over the years. Does it matter if it happened 150 years ago or do only recent deaths bother you? You can start by asking your buyer's agent, but you might just receive an assurance that most listing agents will note information such as this in the agent comments of the MLS listing. It's unlikely that the property has been the scene of a death if there's no notation. But "most" listing agents doesn't translate to "all." Some might not want to be quite so forthcoming and influence a potential sale. Not all states require these seller disclosures. Neither the agent nor his sellers are required to disclose if a person died in the house in Colorado, Arizona, Pennsylvania, or Georgia. But if a death occurred within the past three years in California, it's considered a material fact and must be disclosed. And some selling agents will go the extra mile, disclosing deaths that occur even outside the prescribed window of time simply because it's a material consideration for many buyers. Keep in mind that some classes are protected, such as sellers who've died from AIDS. Sellers should disclose the death if it happened within three years in California, but the cause of death is confidential if it was due to AIDS. Find a real estate agent to ask or check with a real estate lawyer to determine the laws that govern in your state. There's at least one good website out there, DiedinHouse.com, that will check the address for you for a reasonable fee—$11.99 for one address as of 2018. The site will search almost 120 million records for you, including homes in all 50 states. But if you don't want to spend the money, you might try asking neighbors or checking the home's title, which should give you a full list of anyone who's ever owned the property. You can then check the list against public records. And, of course, it won't be a mystery at all if the seller is named as "the estate of..."
How Does a Death Affect Price? It's estimated that a non-natural death can drop a home's market value by as much as 25 percent, but it might have the opposite effect. The JonBenet Ramsey house in Boulder, Colorado, is a good example. This was the home where a 6-year-old model was strangled and bludgeoned, her body left lifeless in the basement. Fingers pointed to various family members...at least in the court of public opinion. When the property was first listed for sale, it was acquired by a group of investors for $650,000. But it sold again shortly thereafter to the daughter of TV-evangelist Robert Schuller for more than a million dollars. The first buyers even changed the number of the house address. That tactic didn't help the second buyer, however. She eventually deserted the home because of the constant traffic caused by tourists and gawkers—another prime consideration for buyers. It might not all be about an intolerance for ghosts. Another stigmatized home, located in the Curtis Park neighborhood of Sacramento, languished on the market for months after a man kicked in the back door and brutally beat an 82-year-old woman. Potential home buyers were concerned that the location of the home, which backed up to an abandoned railroad yard, was unsafe. Even though the seller survived the attack, she no longer wanted to live there, and either did anybody else. The property eventually sold for thousands less than market value. You might also consider changing the address if you're thinking about selling a house in which someone has died. Many cities provide online applications to petition for a house number change. And if buying is your goal, it really comes down to how skittish you are about these things and the nature and publicity of the death. At the time of writing, Elizabeth Weintraub, CalBRE #00697006, was a Broker-Associate at Lyon Real Estate in Sacramento, California.